We departed for our “Grand Adventure” exactly one month ago today. So I thought I would share a little of what our life looks like from the inside. I mean beautiful pictures of sunsets and smiling faces only tell part of the story. There is the everyday living on the boat, whether we be at dock, at anchor or underway, we are in a way a floating island. We are completely self reliant when it comes to water, electricity, plumbing, and maintenance. Therefore our everyday life only barely resembles that of our life on land. There are so many things to love about this life and most of them are obvious. Visiting different ports, meeting old and new friends, sailing in the warm sun, and the romance of a sunset while cuddling with your one and only. Here are a few things that may not seem so obvious. Showers in the cockpit – There are only a few options when it comes to showering and bathing. One is taking a shower in the marina facilities when in a harbor. These facilities are always clean, mostly convenient, and provide lots of wonderful hot running water. However, while underway or at anchor our showers must be taken on the boat. Pablo has two water tanks and carries 76 gallons of water. 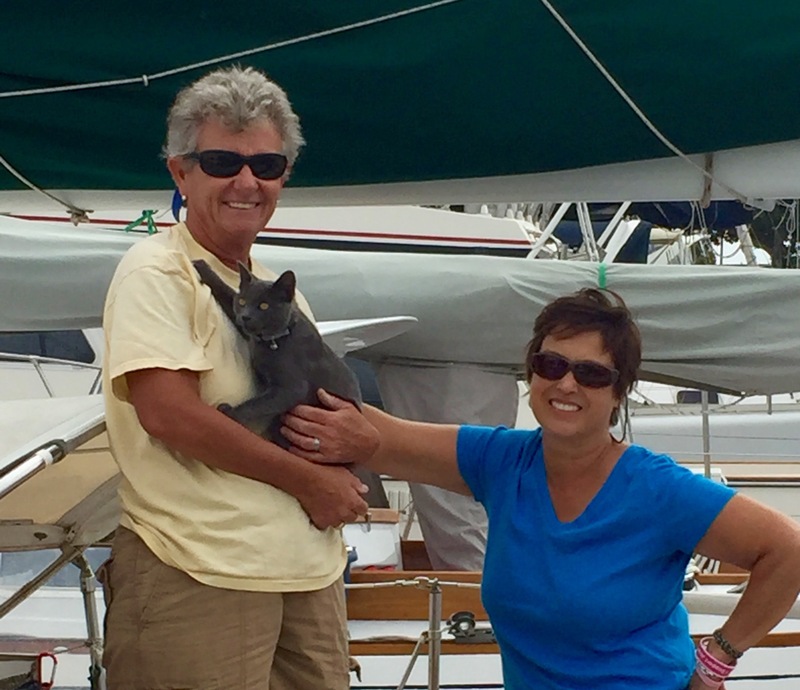 We have a carefully rigged shower stall that we use inside the boat which must be assembled and dismantled with each shower (can I say Pain in the ….). While this certainly works it can be a bit of a hassle. Which brings me to my favorite showering situation above all…. The cockpit shower. On beautiful warm sunny days when no one is around Steve and I lathering up and hose down under the clear blue sky in the cockpit of the boat. This can be achieved either at anchor or while underway when the auto pilot is engaged. No mess, No walking to a semi-public shower, no set up or breakdown. Ahhhhh….. Happy clean sailors. 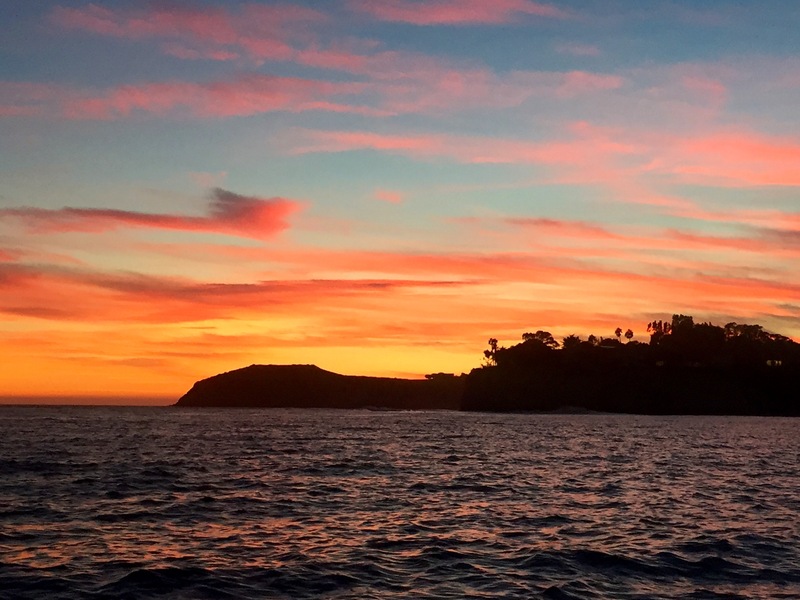 Sun rises and sunsets– I know this is obvious, but the awe inspiring gift of watching the dawn of a new day while sitting in the middle of the ocean is an absolute treasure. And I cannot describe the beauty of watching the closing of the day with each sunset. These two things always remind me to count my blessings and give thanks to God. 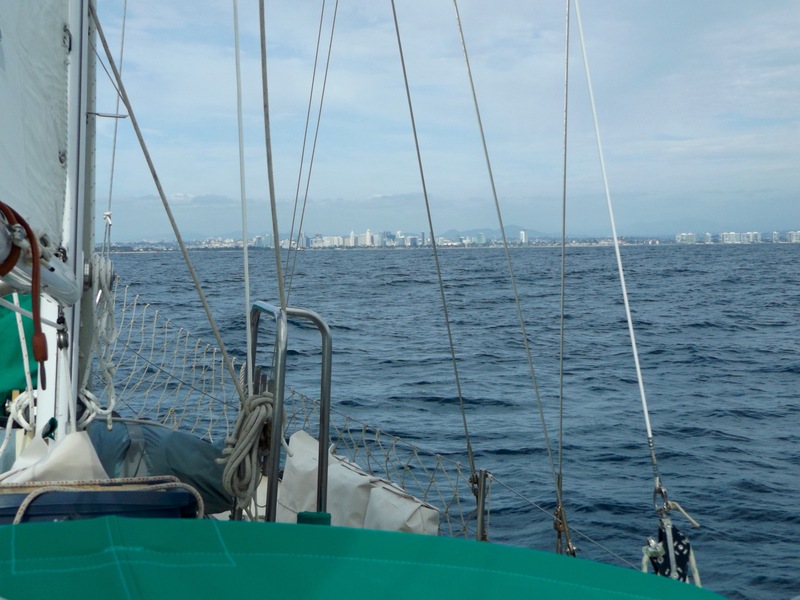 Everything is so slow– The pace at which we now live our lives is measured in nautical miles and we only travel at about 5.5 knots per hour when we are going really fast. So to say that our lives are lived at a slow pace is an understatement. One might think that this would be irritating, but actually it is a wondrous thing to slow down. We laugh longer, talk more, reflect deeper, and take time to contemplate. Night passages– Riding the waves and wind in the stillness of the night is breathtaking. Perhaps it is simply because you no longer rely on your vision to take in your surroundings. Instead you breath deeper, listen harder, and become more in tune with the boat. It is simply magical. 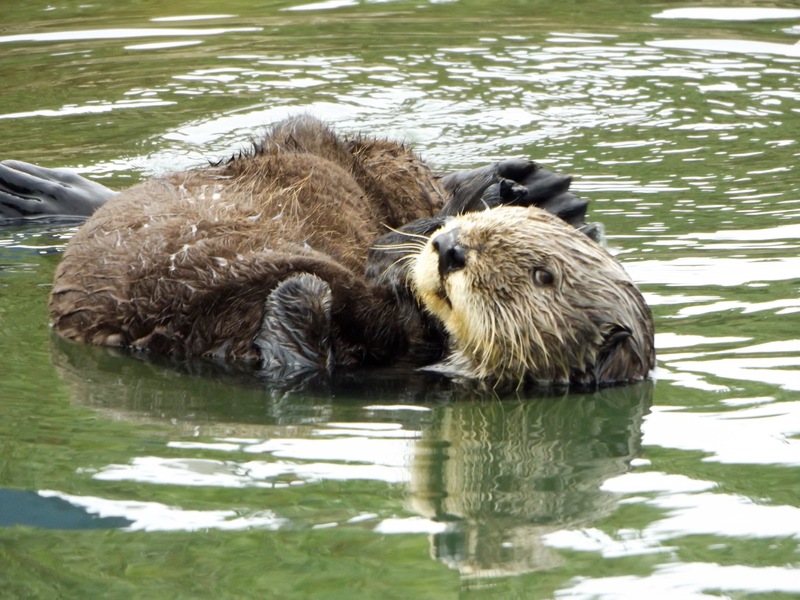 Wildlife– Steve and I love to observe living things, be they people, plants, animals, fish,mammals, or birds. The multitude of all of these things on a daily basis is astounding. However, my favorite by far is the dolphin. Having dolphins riding on the bow brings me to unbridled laughter and squeals of joy every single time it happens. Community– The people who live this life, have lived this life, or want to live this life are a community and breed of humanity all to themselves. 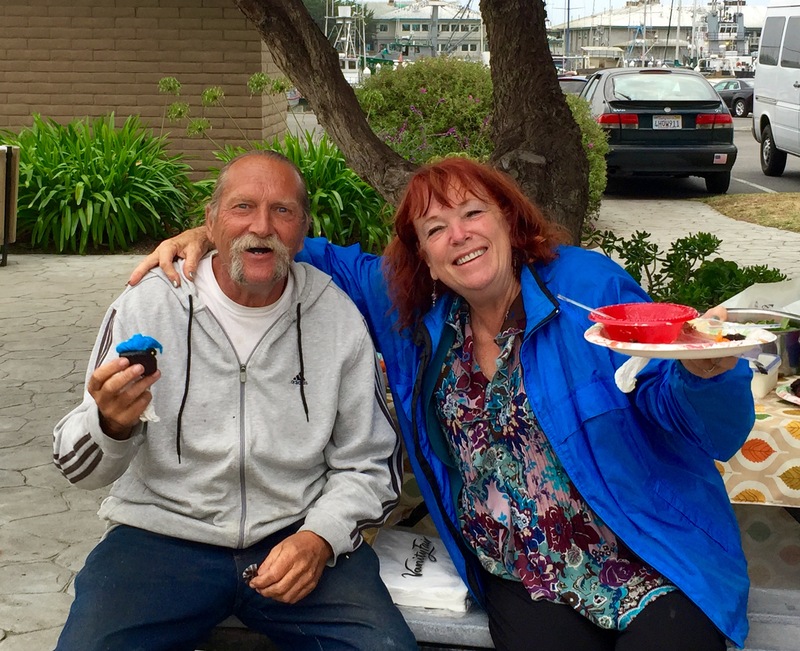 From the fabulous friends who helped us launch ourselves from the dock in Moss Landing, to the selfless friends who have not hesitated to give us time, help and supplies, all the way to the strangers who share stories, advice, and information. These folks have a clear understanding of the value of life and are not concerned with the wealth, politics, and petty side of society. Reminds me a bit of the original creed of the hippy. Live and let live,help when you can, and share what you have. Small spaces– The beauty of living in a small space is you can’t own much, it is easy to clean up your mess, and you spend more time looking at the outside world. I will admit that there are times when the challenge of moving from one end of the boat to the other while crawling over your partner who has decided to do a project in the middle of the salon can be frustrating. 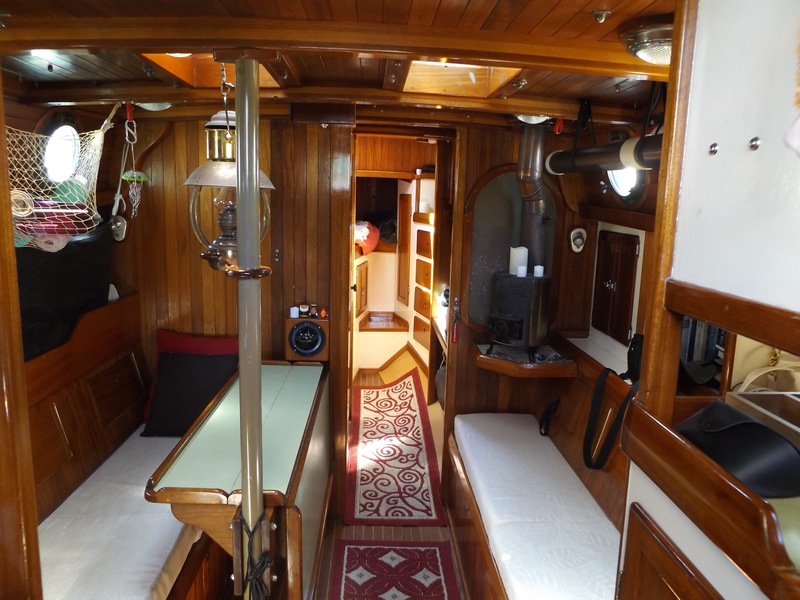 However, the way we see it is this… the boat is our bedroom, bathroom and kitchen. The whole world is our living room. And when you look at it that way we have a great big living space. OK now for the list of Not so much…..
Cant get things really clean– For some odd reason that I cannot explain I can never get anything as clean as I like it. This holds true for the deck, my dishes, the floor, our clothes, everything. It is something I am trying very hard to either get better at or simply accept. The drone of the engine– One of the biggest things we have had to accept is that there are times when we simply have to run the motor to get where we wish to go. Either because the wind is not helping us get where we need to go fast enough or not getting us there at all. The result is that we have to run our motor, sometimes for hours. The drone of the engine in these circumstances is mind numbing. Lower back pain– One of the things that I am having issues with is back pain, lower back pain specifically. This probably has more to due with my flabby stomach muscles than anything, but it has been an issue. Be it from fighting against the constant motion of the boat while under way or the lifting, hoisting, pushing, pulling, and other work that gets done on the boat. I have back muscle pain most almost daily. Everything is so slow– I know I said I love this, but sometimes I don’t. Internet is slow, getting from here to there can be very slow, cooking takes twice as long (actually, everything takes twice as long as it did on land). This is not a bad thing, it is just frustrating at times. 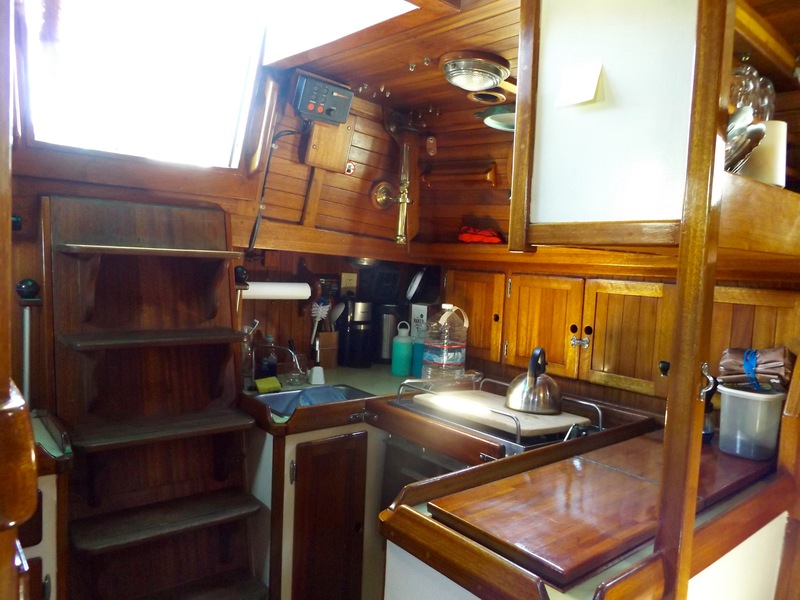 My tiny kitchen sink– As with all things on the boat the galley sink is much smaller than one found in a kitchen. Whenever we wash dishes water gets everywhere. My plates, pots and pans do not completely fit in the sink so you have to do some odd maneuvering to get them washed. Perhaps this is related to the “I can’t get things really clean” listed above. Needless to say doing dishes has become one of my least favorite chores. All this having been said, overall everything in our world is very peaceful. Each of us is happier than either of us has ever been in our lives. Obviously we have made some major changes to our lives and accomplished some big things. We have passed a few milestones and come up grinning every time. We are truly proud of ourselves. Never get tired of reading about this adventure your on. Think about you guys often. Hmmm, your quandaries have me in problem solving mode, shall we fix each others then? NO? okay. But I understand the ew feeling of nonclean dishes… so if you have room for a jug of white vinegar, may help with rinsing so they feel clean. Can’t believe a month is gone by already, that is just awesome you’ve gone so far in that much time. To me it sounds fast. How awesome to have Dolphins as Neighbors, I’d squeal with joy too, as well as showering outside on deck. That is the way to LIVE!! I Love reading your life Sherri, many more blessings to you both. You guys are doing great and it will only get better. Good on you! 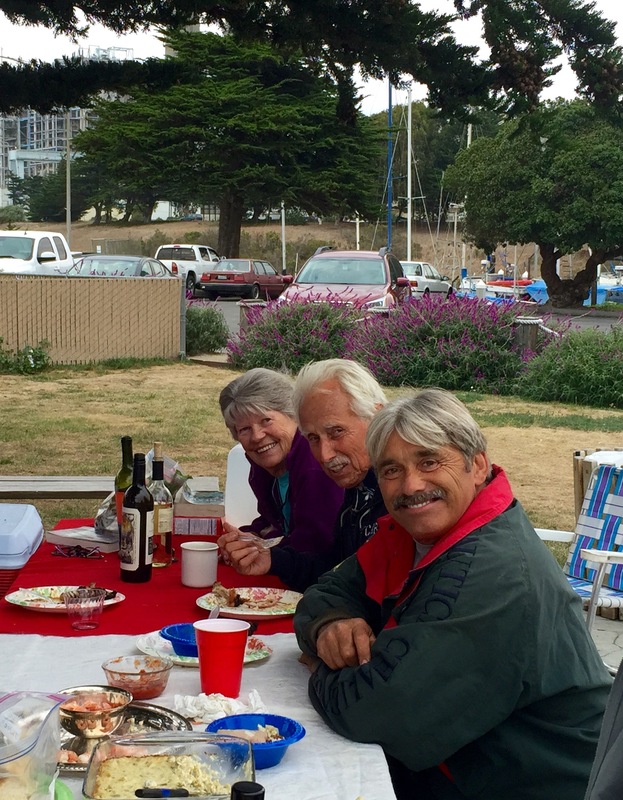 I recognize Holly — she was the captain on a Newport to Ensenada race I did in 2002 or 2003 on a big old schooner. FWIW, re dishes, when I was in clean water in Baja I put the dinner dishes, pots and pans in a divers mesh bag and let them soak over the side for a few hours, then used a plastic tub in the cockpit to do the final cleaning. No water in the salon. Also used seawater to cook pasta, steam veggies etc. Worked pretty good until one night when I had to up anchor suddenly, forgot about the dishes and lost much of my kitchenware. Great to read your posts, Sherri. Wonderful guys, and hearty congratulations. I’ll be following you all the way. Boil any fresh water you pick up on the way down, and thoroughly wash any fresh fruits and veggies you may pick up at the stops. Its the leading cause of food poisoning in Mexico. Believe it. Knocked me out for two days. When In Cabo say hi to the guys at The Office, but avoid the fat guy with the tequila bottles draped around his middle! Hi Sherri and Steve, wonderful reading and we’re there with you! Amazing how much more we learn about ourselves and the world from a *sized down* perspective. We’re here in Morro Bay, looked up your sign in sheet. Great place to be! Happy sailing next week, we’ll be in touch! Pretty tidy galley for a month at sea. One of the big problems living on a boat is finding opportunities to stretch well. So much bending forward. Find opportunities to bend backwards. You should be sure to stretch well every day. Keep enjoying the ride.